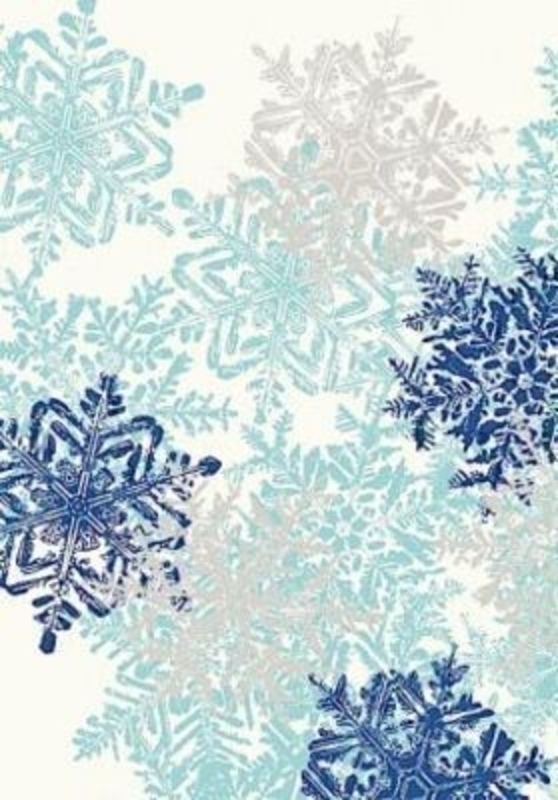 Blue and silver snowflake design Christmas roll wrap paper by Swiss designer Stewo. Quality wrapping paper. Hologram - 76gsm. Size 70cm x 2m.